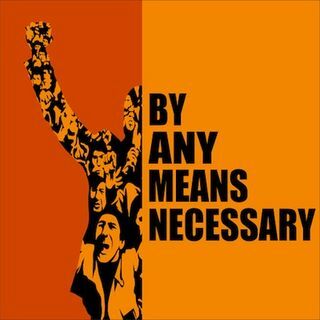 On this episode of "By Any Means Necessary" hosts Eugene Puryear and Sean Blackmon are joined by Ted Terry, Mayor of Clarkston, Georgia, to talk about the vote to continue a high over-budget long-delayed nuclear power plant Vogtle in Georgia. The group talks about the false hope of there being a nuclear energy renaissance in America, the need to invest in clean energies, and efforts by a small town to fight back against large energy corporations. In the second segment the show is ... See More joined by Justin Flores, Vice President, Farm Labor Organizing Committee (FLOC), AFL-CIO to talk about the current conditions for farm workers in Ohio and North Carolina, efforts to stop employee wage theft, the health effects on workers from the chemicals sprayed on crops, and the efforts to boycott tobacco manufacturers for poor labor practices. In the third segment of "By Any Means Necessary" Eugene Puryear and Sean Blackmon are joined by Dr. Dave Ragland, Senior Bayard Rustin Fellow at the Fellowship of Reconciliation, to talk about the not guilty verdict in the first round of inauguration day protest trials, if continued economic suppression will lead to a popular uprising, why baby boomers vote against public schools despite their own experiences, and how the ongoing Coates and West public debate has soured and distracted from much more significant conversations. In the final segments Sam Menefee-Libbey of DC Legal Posse, Ra Shad Frazier-Gaines, Founder, Black Progressives and Bob Schlehuber, Sputnik News Analyst, join to talk about the non-guilty verdict of the first 6 defendants in the J-20 trials, the complex relationship between police and the communities they patrol, the role of white Evangelical Christians in the rise of Donald Trump, the need for whites to be on the front line of resisting the rise of white nationalists, the Democrat Party's failing big tent strategy, and whether or not Black people in the South will be able to lead an electoral movement in 2018.